↑ The Editors of Encyclopædia Britannica (13 January 2014). "Profile of Lake Victoria, East Africa". Britinnica.com. สืบค้นเมื่อ 23 February 2015. 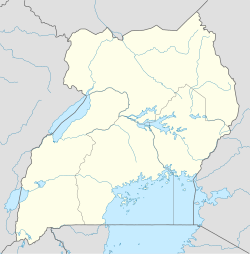 ↑ "Road Distance Between Kampala And Jinja With Map". Globefeed.com. สืบค้นเมื่อ 23 February 2014. หน้านี้แก้ไขล่าสุดเมื่อวันที่ 30 มกราคม 2562 เวลา 14:28 น.